It's very delicate to photograph an Afghan wedding. The women are unveiled and often wear revealing dresses and heavy makeup. They are reluctant to share these images with the outside world. 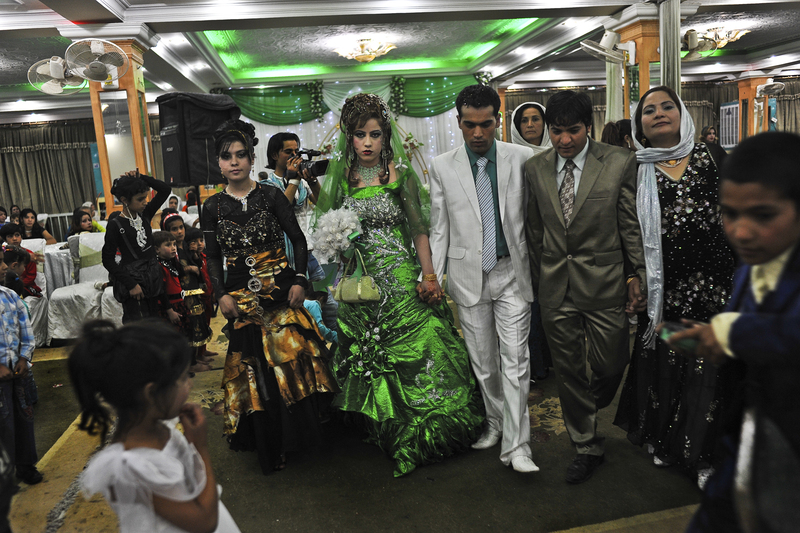 At this Kabul wedding the bride is Fershta, 18. She wears a green dress for the ceremony—a color associated with prosperity and paradise in Islamic tradition. The groom is Amin Shaheen, son of film director Salim Shaheen. The sober expression on his wife's face reflects the fact that marriage is an enormous milestone in an Afghan woman's life, not just a celebratory event.